Limited supply! We currently have the product IN STOCK and are ready to ship within 24 hours of purchase. 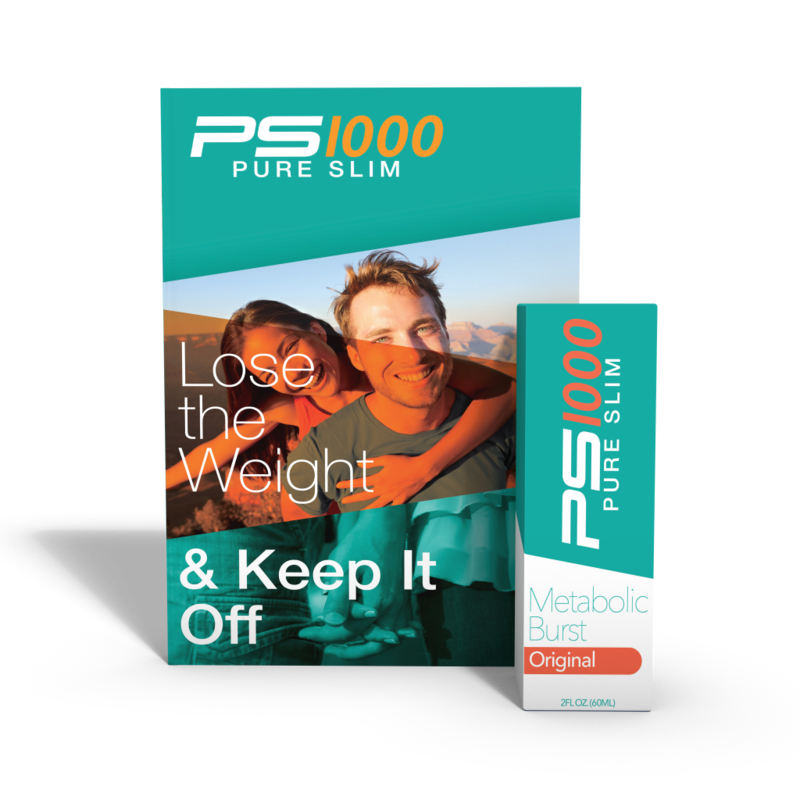 Join the thousands already losing weight with PS1000! 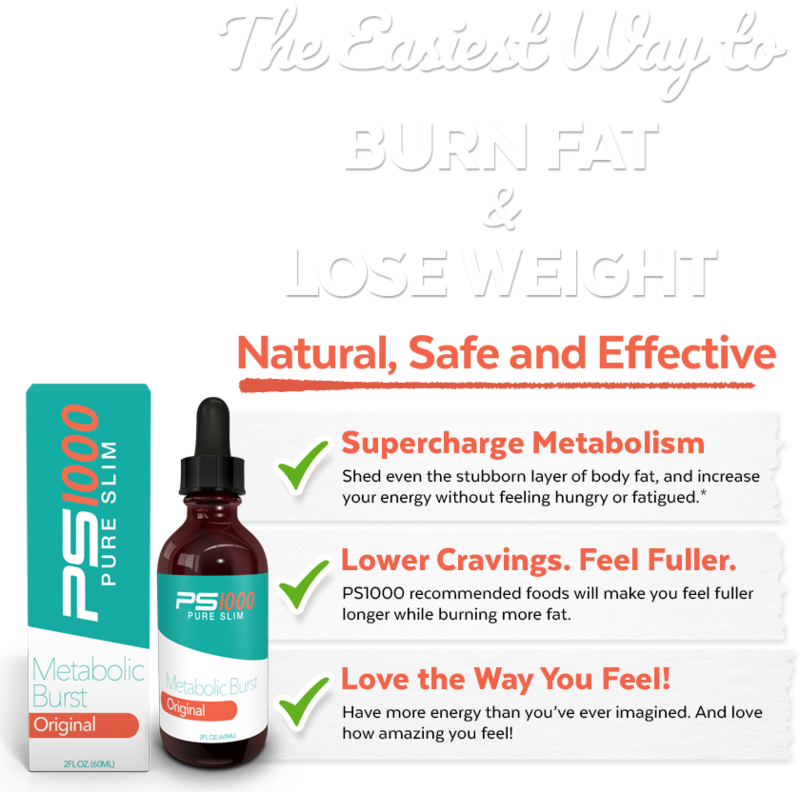 Burn fat for energy instead of carbs and feel the elevated energy that PS1000 gives you! 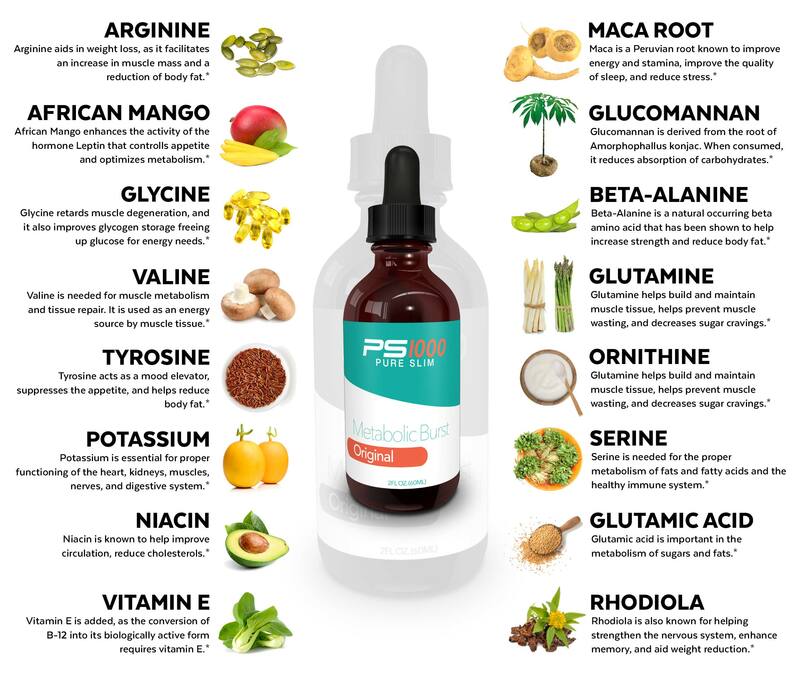 The program combines supplementation of PS1000 Metabolic Burst with a balanced menu, to produce speedy weight loss, increased metabolism, and much more. The PS1000 Program consists of 3 phases. These phases are set up for your success and we will help you every step of the way. 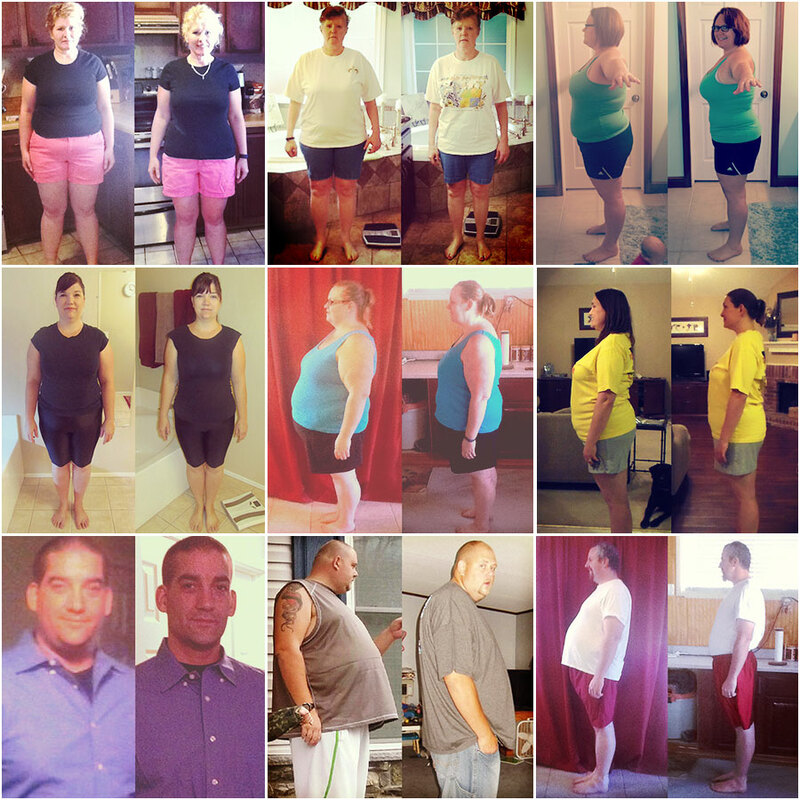 Phase 1 is the main weight loss phase that can last up to 90 days. This is where you start eating clean and begin taking PS1000 Metabolic Burst. Phase 2 or Follow-up phase, meant to last up to 21 days. The goal of this phase is to create a new weight set point that your body can easily maintain. On Phase 3 you continue your new healthy lifestyle. You are slowly adding back sugars and starches while eating a normal number of calories for your body weight. 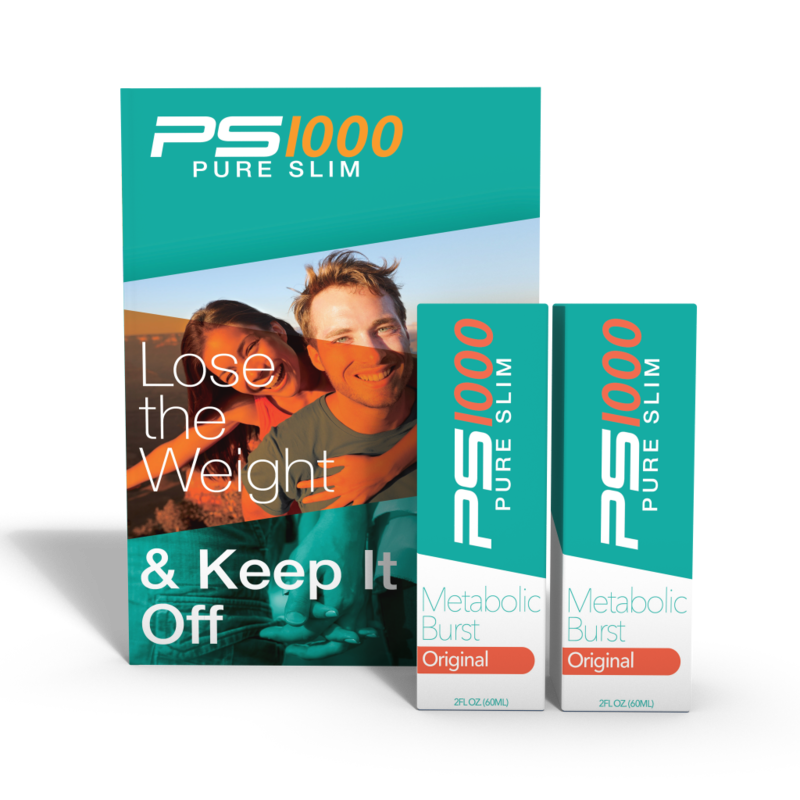 All of the ingredients in PS1000 Metabolic Burst have been proven to be safe and effective at promoting weight loss, and when combined with PS1000’s low calorie nutritional plan, can help you achieve your desired weight quickly and safely. I have struggled with my weight pretty much since a teen. Some diets were healthier than others, but I’ve not ever been able to manage and maintain my weight consistently. As I’ve gotten older, I’ve also had to factor in my hormonal changes and the effects of being out of balance hormonally. One of the biggest effects on me was migraines. As my weight continued to pile on, so did the frequency of my migraines. I’d have them regularly three to four times a week, leaving me incapacitated or going to the E.R. Medicine helped, however taking the medicine on a consistent basis would then make my kidneys hurt. Coming back from a family reunion two years ago, I was at my heaviest since 2000. Weighing in at 218, I began another program in 2012. Over the last two years, I struggled to get rid of the weight, literally losing a few ounces per week. 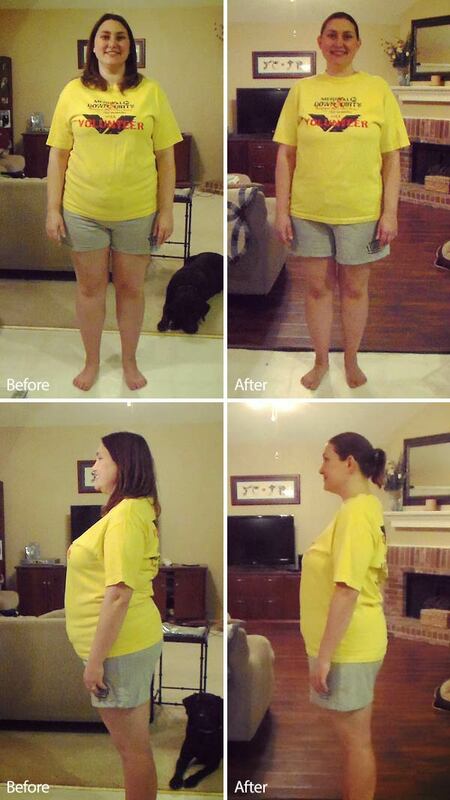 My weight fluctuated and I found it very difficult to fit the diet program into my lifestyle. I became very discouraged and resigned myself to thinking that at the rate I was going it would literally take years to achieve my goal weight. Struggling on my former diet, combined with vacations over the summer, my weight started creeping back up. I almost lost out on an opportunity of bungee jumping as I was four pounds away from being unsafe to do that. So, with that realization I knew I needed to do or try something different. 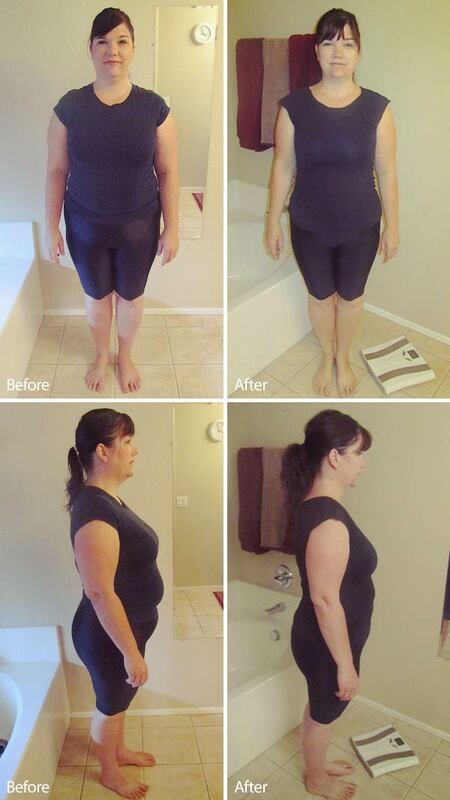 That difference, was seeing my sister-in-laws’ transformation on the PS1000 program. My husband, who also was struggling with his weight and at his wits end, called his sister to find out more about the PS1000 program. Armed with the new information, Harold enthusiastically was ready to start the program. I, however, was still on the fence. My honey’s famous phrase that got me off the fence was, “What do you have to lose?” I realized I had nothing to lose, if it didn’t work out, I could go back to my former program. I am so grateful that I began the PS1000 program! It has literally changed not only my life, but my husbands’, as well as our teenage sons’! 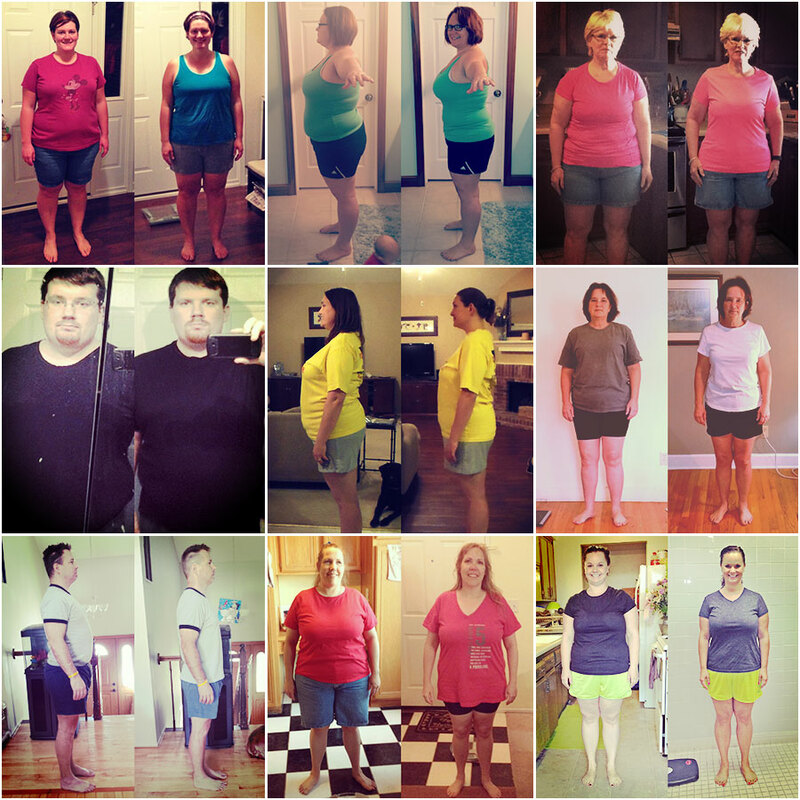 On this program, completing our first round of Phase 1, I have consistently shed weight each week! I haven’t been hungry or felt deprived. In fact, as each week went by I felt healthier! Then I started noticing that I wasn’t having migraines anymore!!! I was actually living my life without being bedridden or with the aid of medication! As a family doing this program, we began walking together, with my husband usually in the lead! While not actually on the PS1000 program, our teenage son has benefited by having his diet modified to eat more of what we were eating. 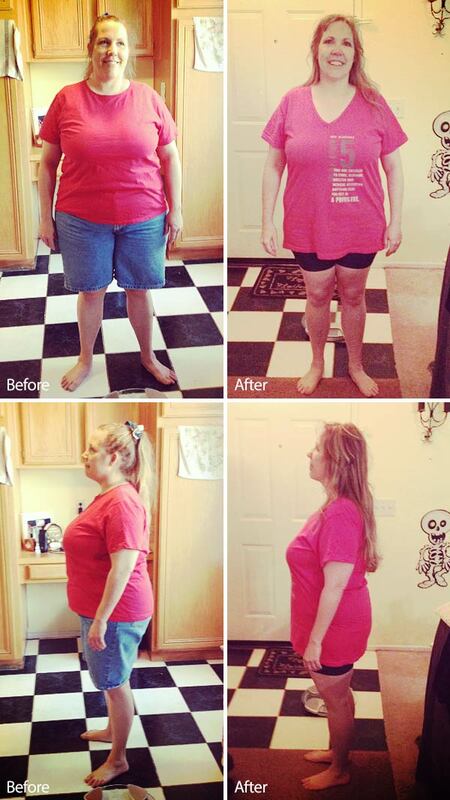 To see the benefits of just eating how my husband and I were on my son was just as rewarding! On this program I was able to go on vacation and not gain weight. I am able to follow this program and have it fit into my lifestyle! I now am confident that it won’t take me years to reach my goal, and better yet, with this program I know that I will be able to maintain my desired goal and live this program and thus break the dieting yo-yo once and for all! Thank you so much PS1000!!! 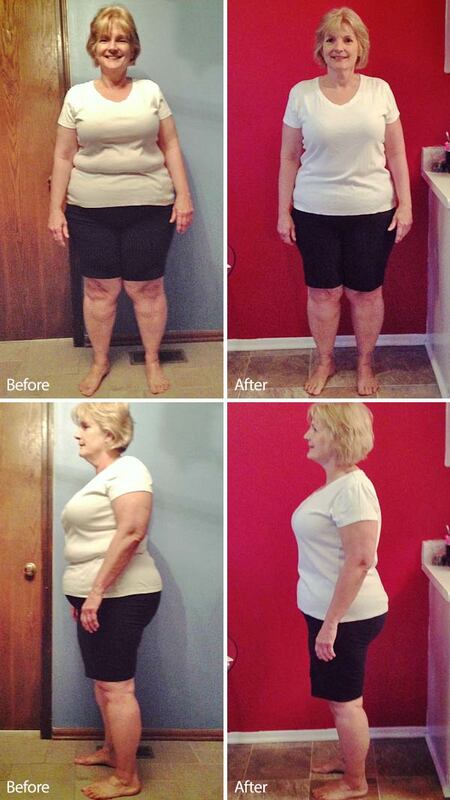 I started the PS1000 program on February 24, 2014 and finished the 90 day challenge on May 25, 2014. I had a starting weight of 243.4 and an ending weight of 207.0 for a total loss of 36.4 pounds. My body has changed physically by leaps and bounds. I have also went from a size 22W jeans to size 16M jeans and a size 22W tops to an XL Misses top. This is the first diet of many that I have stuck to for any length of time. I have been on Atkins, Weight Watchers and numerous others. Typically I lose 20 or 30 pounds and then get off and gain it all back and then some. I am a true yo-yo dieter. I love the food choices with PS1000, because I know that I am eating healthy and I am learning how to make better choices and portion control. My doctor was very impressed with my weight loss and really likes that I am eating a healthier diet. Prior to PS1000 I was unhealthy and could barely walk a ½ mile without stopping. I started riding bikes with my husband and rode 5 miles in our first outing. I look forward to going back on after my three weeks are over to finish losing the rest of my weight. It is a great incentive to not exercise yet see the pounds fall off each week. This is definitely a program I can stick to for my entire life and I haven’t even talked about the health benefits. Eating a healthy diet has helped me lose weight, but I am sure the long term benefits are going to be even better. At 51 years old, my husband and I went on vacation to New York City over Christmas, it had always been a dream. Well I was over 250 pounds at that time and after the second day my feet were so swollen and I was so tired, we had to spend the third day at the movies all day because I was two worn out to walk another step. And we had hardly gotten out of the car due to bad weather, but just moving was so labor intensive that I was exhausted just doing general shopping. We look forward to returning and going on the walking tour of the city. I had my gallbladder out when I was 27 and have had stomach issues ever since. Since starting PS1000 I have had no issues. I couldn’t eat tomatoes, garlic or onions due to terrible gas and that is gone now also. I also had complications after my hysterectomy doomed to take bladder control medicines for the rest of my life, well after losing the weight, I have been able to stop taking my medicine. The weight was pushing on my bladder and now that it is less, the bladder is working again. Such a blessing. I will have my blood work again in 3 months and I am sure that my borderline cholesterol issues will be gone too. Having had thyroid cancer years ago, my doctor believes after my blood work up I will also be able to reduce my thyroid medications. I am looking forward to being a healthier form of me! Thank you so much PS1000! See you when I get to a size 12! I started the PS1000 program on August 7, 2014 and finished the 90 day challenge on November 4th, 2014. I had a starting weight of 337.32 pounds and an ending weight of 265.6 pounds for a total loss of 71.6 pounds. My attitude and body have changed tremendously over these 90 days. I went from a size 46 pants and now I am between sizes 38-40 and dropped from 3XL to actually fitting in XL. I have always had weight issues my entire life and have tried numerous plans (Atkins, Cabbage Soup, and Perricone to name a few) and started great the 1st week or two and then would start gaining back while on it, the Perricone diet I even found out I had Diverticulitis which seemed another hurdle to jump over. I also would follow along with my wife on Weight Watchers and when she was doing Jenny Craig and nothing ever worked. 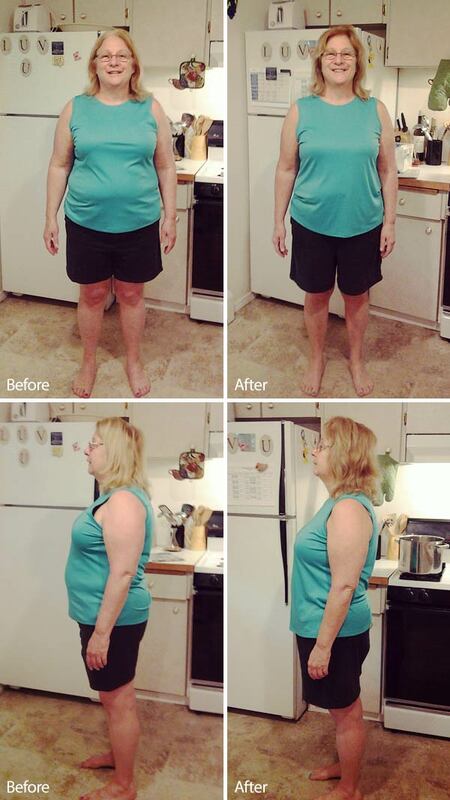 I was talking to my sister Sherrie after she was in her 2nd Phase one and she recommended I try the PS1000 program, she had dropped 40 plus pound and is the first one that used a plan that worked I knew. 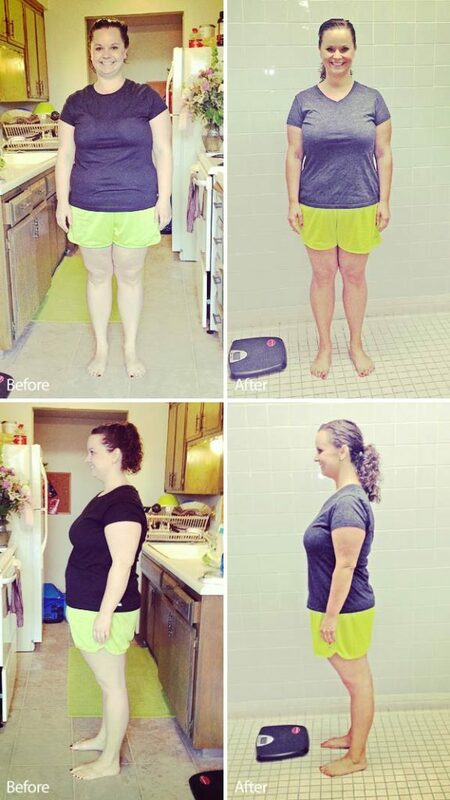 I convinced my wife to stop Jenny Craig and do it with me our journey started. From day one I wasn’t hungry; it gave me a wide range of food to work with, and being gone 10-14 hours a day at work easy to package my meals. The portion control was troubling at first (only in my mind), but vanished quickly. Prior to starting PS1000 I couldn’t even walk 100 feet without getting winded. Two days after week 10 my wife and I walked three miles, and right after that we have been walking 2 miles every day after I get home. I can’t wait to be able to start the Phase 1 process again so I can drop the rest of the weight. With my long work hours it has been amazing to see week after week the amount of weight I have dropped come off without any exercise. I am having a harder time trying to figure out how to eat the amount of calories on Phase 2 than when I started figuring out if I could only eat between 800-1000 calories a day. Makes me laugh when I stop to think about it. At 48 years old (49 in 10 days), I never thought I could feel this good and be able to be this active again, I would leave for work every morning tired and return feeling the same way and now I feel refreshed in the mornings and throughout the day. Throughout the years my weight kept creeping up and last November I got a pinched nerve in my shoulder and the medication the doctor put me on made me gain 30 pounds in a month which I promptly had him stop and have tried very hard to drop anything I could over the next 8 months with no success at all. It seemed like a slippery slope that I couldn’t climb. With the high weight, sleep apnea, diverticulitis, and feeling tired all the time I knew I was just around the corner from a variety of health problems. I am an avid blood donor with almost 6 gallons so far as I am O negative, but with all the troubles with the weight I had stopped. I was able to donate last week for the first time in almost a year and will soon get past the 6 gallon mark and be on the road to 10 gallons. 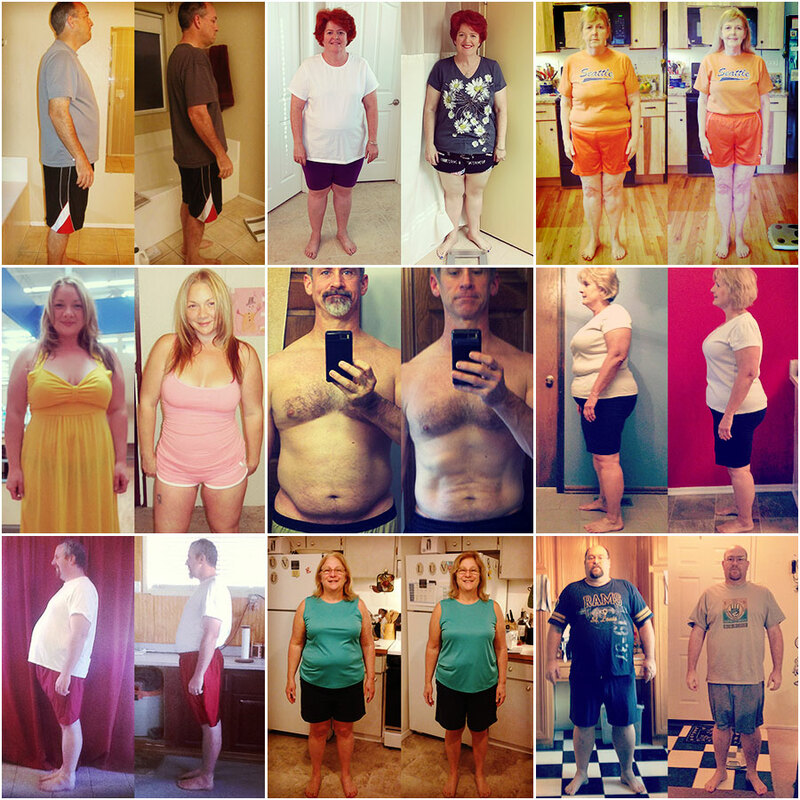 This program seems to be a true family affair as it has changed not only my life, but my wife who has dropped 30 pounds, my sister Sherrie who has also dropped over 70 pounds this year with PS1000, and my 14 years old who has been eating the same way as us has also dropped 14 pounds. Thank you so much Pureslim1000 for giving us the avenue for a healthier tomorrow for my family. See you when I get to 200 pounds! I am an elementary music teacher and travel to five schools throughout the week to deliver music instruction for students in 4th-6th grade. This job requires a lot of energy and confidence in working with such a large population of students as well as 5 different campuses worth of teachers, administrators, and staff. I felt for a very long time that I was trapped in my “fat suit” and couldn’t get out. I have always felt that I am good at my job, but at the end of the day, I was spent. I had no motivation for any other activities, housework, cooking, exercising, and even socializing. I am typically a very positive person, but for the last 3 years, I have struggled with self-esteem and confidence. I was afraid to make plans; I didn’t care for myself, and felt very stuck. Once I found myself in this mind set, it seemed almost impossible to get out of it. I didn’t see a way out. It wasn’t until my mom and I decided to research together and do the 90 Day Challenge that I began to want to fight for myself again. I owe a great deal of my success to her. 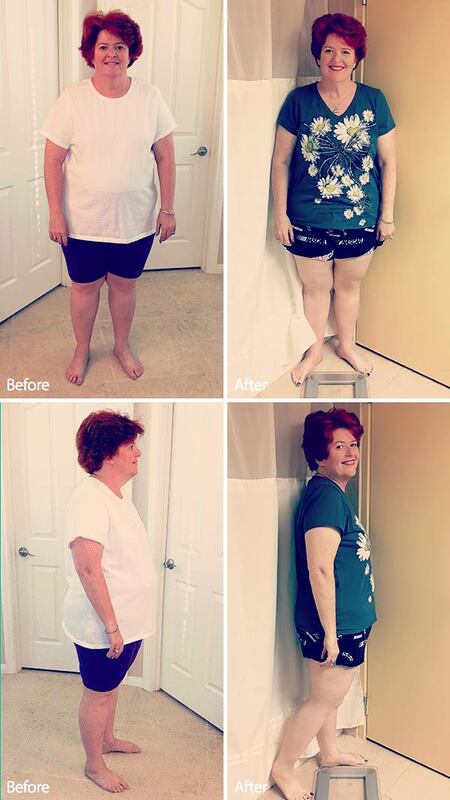 She also did a great job with the Challenge (total weight loss=16 lbs!). I have spent the last 90 days sharing details of the PS1000 program with friends and colleagues, and they have noticed a change in me… both physically and mentally. I have been complimented numerous times on my “commitment to change,” and that I have “inspired them to eat better.” I am also astounded at the way my body has responded to the drops. I take them regularly, even now in Phase 2, and I know they are helping to make a huge difference. I have energy and a clear mind to make it through the day and still have the drive to achieve other goals. I recently got back into running and swimming. Yes, you heard right, RUNNING AND SWIMMING! These are things that I used to enjoy, but with the added weight, I didn’t even feel as if it was something I could attempt again. I know I still have a ways to go, including the next challenge of maintaining and continuing on this track for the rest of my life. I am excited for what the future holds and look forward to seeing myself in a year, with the same mind and body. Of course, I am nervous that I will not make it, but the positive responses I have received to the PS1000 program will keep me moving forward and staying on the path to health and wellness. I would just like to thank the creators of PS1000 for allowing me the opportunity to share my story and for giving me the chance to reflect on my own transformation. I look forward to seeing where this “new body and mind” will take me! I am 52 years old and I started this journey at 245 and so far am down to 212. I have been on many diet plans in my life. I was on Atkins, Nutrisystem, weight watchers, and many more. Some better than others but it always seemed like when you would sway a little off the program that it was just such a monumental task to get back on board. Too many restrictions and rules were so hard to follow. We had heard about this plan for losing weight from our friends. 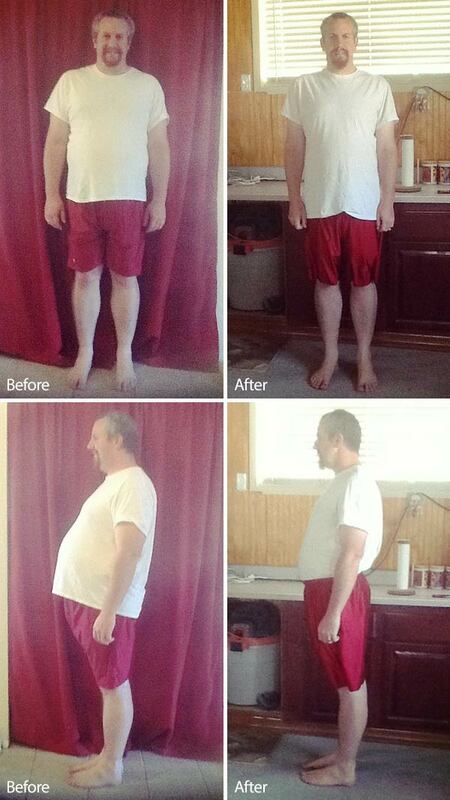 His sister had lost a lot of weight and we were looking for a way to lose weight too. They had planned to start the system and we figured we could try it too from the descriptions they gave us. I was not looking for a quick fix to my weight issues I was looking for the healthiest way to live the rest of my life. I was only 2 weeks into this program and knew I had made the right decision. I started feeling very optimistic about actually reaching my goal this time. I was losing the weight and getting healthier in the process. I have about 62 more pounds I would like to lose to get to my final goal weight of 150. I started at a size 22 and now am getting into size 16. I did this without adding any major exercise due some joint issues I have been having. Having lost some of the weight now I will be finally adding exercise into my regime and am very excited. I knew the weight was a factor but for some reason was not successful in my ventures to lose weight and keep it off until I started Pure Slim. I feel so much more confident in myself and now can say to myself “You can do this” . Even my family and friends have commented on my outlook. This plan has encouraged me to find ways to plan my meals and find a way to stay on track and to be honest, it really hasn’t been hard. I started gardening again after several years of giving it up. It was just too hard bending over, squatting down I was becoming lazy. Things I loved to do I was no longer doing because I was embarrassed about how I looked, what people would think of me and the pain I would feel the next day from the excessive weight I was carrying. I look forward to going bowling, playing tennis and maybe even some hiking(without having to make my poor husband wait up!). I still have a ways to go in my journey but I will get there. God Bless you and your company! 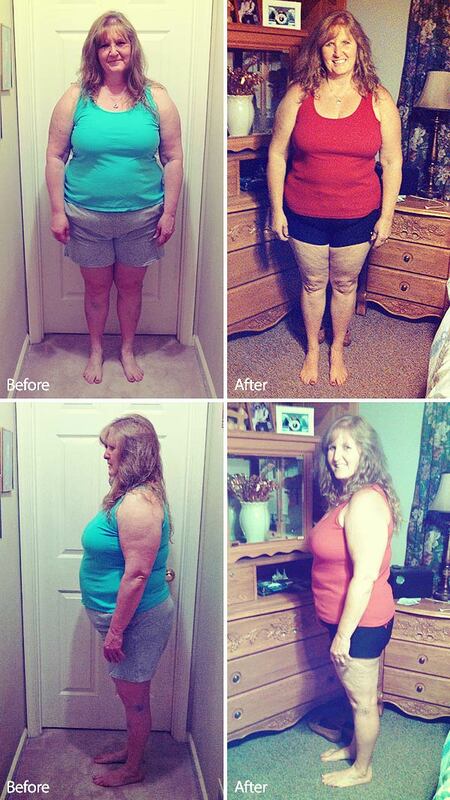 I am very pleased with your product, and with your booklet with guidance on good eating habits! 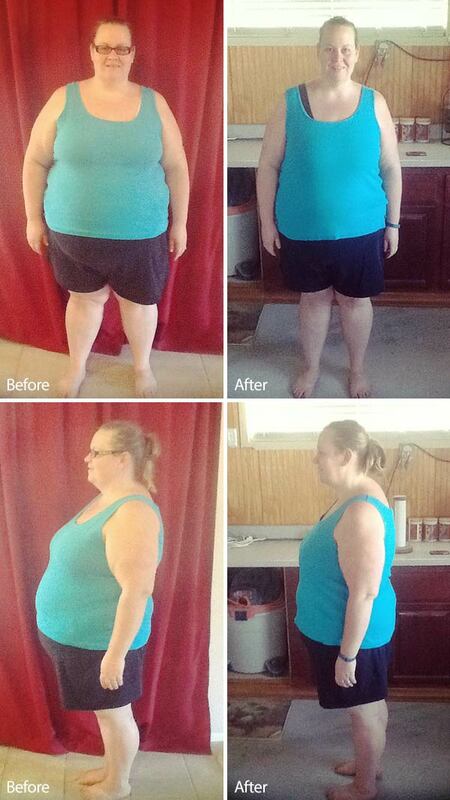 I have succeeded in loosing 20.7 lbs and 9 total overall inches after doing your 90- day challenge! How I learned about your product was so simple! I have been on many weight loss programs over the years, actually for the last 24 years! Each program I was on gave me successes but not the results that the Pure Slim drops and program has. One day, I decided that I wanted to start a weight loss plan, but didn’t really know which one to try. So I decided to use technology and I Googled “Best diets in 2014” and yours came up as number one on the list! So I went to your website and right away I knew it was for me! This is because it stated it was put together with research about homeopathic ingredients, and this impressed me because I had recently switched to organic foods and I didn’t want to do any program that was packaged or processed. I purchased it within 10 minutes of reading about it! I started the challenge and the weight just kept coming off, and I found the menu choices were so simple. With my career as a property manager I just don’t have the time to chop and cook and spend hours creating a menu! I am so thankful that I found this, and though I didn’t follow the program perfectly, I followed it faithfully enough to get the results that I was looking for. I remember saying,”I would love to loose 50 pounds in the 90 days, but 30 is probably more realistic and healthy, but if I loose 20, I will be so very happy! This is exactly what happened! I am so happy with the way I look, and how I have changed physically. Not to mention the mental successes that I have experienced by following the plan and saying “no” to foods that were not on it! I am now on Phase 2, trying to figure out my exercise and etc. but I know I will do phase one again soon! Thank you very much for helping me on my journey of being who I really want to be! Healthy and not obese! Best to you, and I hope you keep prospering! PS1000 was the best thing to happen to my weight since I started realizing I needed to pay attention to it. We found out about it from friends and found out it used just regular food from the grocery store. All the foods on the diet virtually anyone can eat and if you cannot eat some you can eat enough that you will not be in want. The vitamins were great because they helped to balance the hormones in my body. We had heard about this plan for losing weight from our friends. 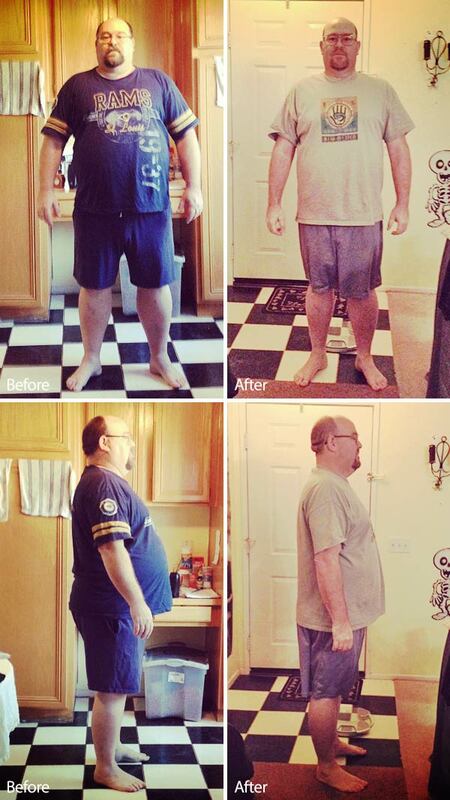 His sister had lost a lot of weight and we (my wife and I) were looking for a way to lose weight too. They had planned to start the system and we figured we could try it too from the descriptions they gave us. The great thing about this plan, well there are many, but the thing I have seen about most weight loss programs that seem to work is the restrictiveness down to the fact where you usually need to buy their (bland) food and eat it for at least most of the day. It gets expensive quick and we just could not do something like that. The food we eat on this plan is great because it is all food off the shelf. It is all the natural stuff like chicken and beef and fruits and vegetables. The selection is small if you stick to the listed foods, but small is ok especially for only 90 days and when you see the pounds melting off as quickly as you do. Carbs are pretty much off limits, which was hard because I love carbs, but again only 90 days and you are doing it to be a better you. The vitamins on this plan helped a lot because they had sweetness to them so that was good and I honestly feel like they helped with appetite suppression. The vitamins were a difficult thing to do only because of not being able to eat or drink for a while around taking them. I loved the idea of the liquid vitamins though because I have seen too many times where pill based just pass through the body. At least with these I know the body is absorbing it. My hormone levels, which is mostly what this plan is about, really felt like they were balancing. From the fact that usually when I drank enough water, I had reflux before this, to the fact that I could barely get to sleep at night due to upset stomach. All that disappeared on this diet and I do not plan to go back to being in that much discomfort in my daily life. At first, the water needed was difficult to get through but got easier as I lost weight. I have a one and a half hour drive each way to work, I was pulling over most mornings at different gas stations but I stayed fast to the plan. Most days it was a little difficult to stay with this diet plan but seeing the weight come off was the motivation I needed to keep going. Even when I did not lose weight from one day to the next I knew, I had to try that much harder today and I was able to get over my hurdles. It feels good to be 50 pounds lighter now and I look forward to phase one again to lose what little more I need to with a plan that really works. My name is Sherri Turman and I am a sixth grade science teacher. I started the PS1000 diet on January 11, 2014. Before starting PS1000, I was two hundred eighteen pounds and wore a size sixteen. I currently wear a size fourteen. I have dropped one dress size! I was also wearing extra large shirts and now I fit into larges. My clothes are not only a size smaller but they also fit better. They are not constricting and tight fitting, but instead loose and comfortable. Besides my clothes fitting better, I physically feel better. Before PS1000, my activity level was nonexistent. My energy level is up in all areas in my life, both at home with my husband and kids and in the classroom with my students. Now I am no longer sitting on the couch, instead I go on long walks with my husband, play at the park with my kids and consistently running around on the go. I’m no longer huffing and puffing when taking the stairs at school or while trying to keep up with my nine year old son. About fifteen years ago when I was in my twenties, I sustained an injury to my right knee when I slipped and fell at work. Because of the weight gain since then, I was having more and more issues with it. It would consistently ache and pop. Now with the weight loss, I rarely have any problems with it. Walking and taking the stairs are no longer painful. Health wise, I was also getting frequent dizzy spells, about 1 every two to three weeks. I have not experienced one in the last month and a half. Using PS1000’s guide on what to eat has helped not only me physically but also my entire family. Both my husband and daughter have lost weight as well. As far as my mental transformation, I just feel better about myself. I feel more confident with not only what I wear but how I present myself. I have more self esteem and I am not as self conscious as I used to be. Many teachers have commented on my weight loss and that has made me believe that I can keep going. My outlook on life is more upbeat and hopeful. I just seem to be in a better mood! I have become more focused at work and at home. Overall mentally I feel like I am a better role model to both my kids at home and my kids in the classroom. Doing the PS1000 diet has really made a difference in my life. Thank you! My name is Tammy Moon. I am a mother of 6 children and a stay at home mom. It seems that my weight is directly related to how stressed I am, how much sleep I am getting, and what types of “goodies” I am baking for the kids. Over the past 16 years, I was either in maternity clothes or trying to lose the “extra baby weight” after my baby was more like a toddler. This cycle seemed to be harder and harder to overcome as the years rolled on. This is where I was 90 days ago; frustrated that my “baby” was almost 3 and I still had not lost the baby fat. I made a goal to lose 50 lbs during the 90 days before his birthday. I realized that I probably would not lose all of the weight that I needed to but I was going to remain positive; no matter the end results. At first, the challenge was to eat enough throughout the day. I was finding myself going several hours before I even felt like eating. This caused issues with the scale because I was actually starving myself even though I did not feel hungry. After I started eating more, I actually lost more weight. I felt better during the day and I was able to stay satisfied. In past diets, I would stress myself out trying to figure out what to eat; what was “legal”. The PS1000 diet offered more choices than I realized and I was pleased with that aspect of the diet. During the course of 90 days, we decided that we were moving. With the added stress of this decision, I was not able to stay focused as much on my weight loss. I still tried to stay on the diet but realized that my goal of 50 lbs was not going to be achieved in 90 days. My past experience however has been that if I am dieting and something stressful happens, or causes a drastic change in my life, not only do I give up on the diet, but I gain back a lot of the weight. So to me, this 90 day challenge has been very successful. Although I ended up losing only 27 lbs, I am pleased with the way I feel and look at this point. I still have 20 lbs more to go, but I am hopeful that I can do that on the PS1000 eating plan in the near future. With everything that I have going, it is hard to stay committed to eating right 100% of the time. However, I feel like I can, on most days, remain true to the diet and lose the weight that I want. I know that had I been able to devote more time and energy to “me”, I would have been able to see better results. As it is, I am pleased with the shape that I have back; and I am anxious to begin the next level! For a busy mother of 6, this is the plan that works best for my schedule and family. After 90 days I have lost 46 lbs. 46 lbs.!!!! * That just blows me away. My goal was 50 but I really didn’t even think I was going to get even close. Our family is very active and we had lots of party’s and activities during the 90 days but we made a plan and stuck with it even taking a weekend trip to Arizona for a wedding. We picked a hotel that had a kitchen, brought all our food, and cooked our meals. Even bringing protein to the wedding for our salad when we found out they were serving pasta and salad bar. Beginning this plan I was worried I was only allowed 1000 calories. But it really was hard some days to eat just to the 800 minimum. The biggest thing that changed was the sugar intake. I was addicted to sweets. So the sugar withdraw was a little hard in the beginning because I did always crave it. But I now don’t even like the taste of it very much. I did have a few slip ups in the first few weeks but now I think I am a changed woman. The few times I did indulge it made me so sick I thought twice before I did it again. I am so excited to hopefully lead by example for our 5 year old daughter. I don’t want her to learn our bad habits. By my husband and me changing the way we eat and see food hopefully, she won’t struggle the way we did. I am so excited to lose the weight but my main goal is to hopefully be able to have another child. This weight loss plan is so easy to do all you have to do plan a little and keep your end goal in mind. Hoping for a PS1000 baby!!!! My story seems to start like so many others, I have battled with weight all my life. Although I was fit I always carried 30-40 lbs more weight than I should. By my early twenties the extra weight was already taking a toll on my body; my knees were taking a pounding and before I was 30 I had already had surgery. I was browsing the internet and came across the PS1000 add and read the information and testimony from the people who had tried it. I needed something that would give me a quick start to give me incentive. I knew what had happened in the past-with slow results I would become easily discouraged and allow myself to become derailed and fall back into my old habits-my problem is not so much eating bad food, it’s eating too much food. I began the Pure Slim diet protocol and drops and have never been hungry. Eating the right food, and eating small frequent amounts has left me not only satisfied but at times difficult to maintain… I’m just not hungry! The booklet has been invaluable. I had weeks that I plateaued and went back to your book and reviewed the guidelines- it always helped me get back on track for something that I either forgot or did not continue; like drinking enough water or keeping the right ratio of protein to vegetables to fruit. The recipes were flavorful and I was quickly adapting them and expanding flavors to suit my own taste without adding calories. The website was also helpful just to see the success of other customers and to be encouraged by their success. Taking the Challenge only added to my motivation because it set a time limit and someone to be accountable to, not to mention the financial benefit! When I look at my photo 90 days ago I can’t believe that 30 lbs could make that much of a difference, I like the way my clothes are fitting and how much better I feel. I am no longer taking blood pressure medication. I also see that I have a way to go, but continuing on this diet is no longer a daunting task, it is a way of eating that is becoming second nature and enjoyable. I was disappointed at losing only 30 lbs but not discouraged; this may have been the end of the 90 day challenge, but it is the beginning of a lifelong challenge. Thank you PS1000! Every day people like you are losing the weight with PS1000. Sart today and enjoy the benefits PS1000 can give you! 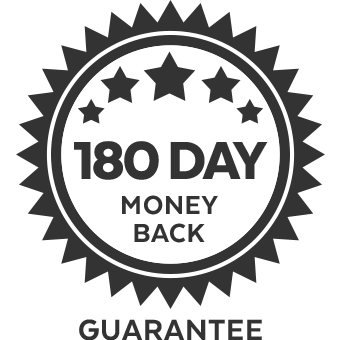 Being in business for quite some time and realizing the phenomenal sucess we have had with our customers, we are in the unique position to offer this amazing guarantee. We stand completely behind our product in all areas. And that’s why we offer full 6-month money back guarantee. This means you have a half of the year to try the program free of risk. To purchase PS1000 Energy Burst separately please click here. The foods we eat can directly impact much more than our weight and waistlines. Our energy levels, hormone levels, and our overall health can be dramatically affected almost immediately by what we eat, determining how we feel for the rest of the day and longer. Understanding why we feel the way we do after we eat, why we get hungry again when we do, and how this is all determines our short-term and long-term health is the basis behind the PS1000 Plan. The PS1000 Plan combines a low glycemic menu with our exclusive drops. When followed, this program results in sustained energy, balanced nutrition, and rapid weight loss. Foods high on the glycemic index (such as white rice, bread, and pasta) result in hormonal dysfunction in the body. The body quickly converts these processed carbohydrates into sugar, which causes the pancreas to ramp up production of the fat storing hormone known as insulin. Foods that are low on the glycemic index include lean proteins such as white meat chicken, fish, beans, vegetables, fruits, and certain dairy. When the main bulk of your menu consists of these foods, hormones are balanced, metabolism is boosted, and insulin levels are even, rather than spiking. This is great for anyone who wants to lose weight and take charge of his or her health. Is a low calorie diet healthy? Limiting calories for the short term can have significant health and weight loss benefits. It may allow you to lose about three to seven pounds per week, or an average total weight loss of 58 pounds over 12 weeks. Such a weight loss can rapidly improve medical conditions that are linked to obesity, including diabetes, high blood pressure, and high cholesterol. The rapid weight loss experienced by most people on low calorie diet can be very motivating. That said, while limiting calories for the short term can have some significant health and weight loss benefits, if it is continued for too long, it can mean compromised health. That is why we recommend doing only up to 90 days at a time on the PS1000 Plan. Your body and mind will need a break after this time, and then you can start again after taking some time off. So, is a low calorie diet healthy? It can be, and it can be a great way to lose weight, but it can also result in illness and compromised immune systems if it is not done properly. 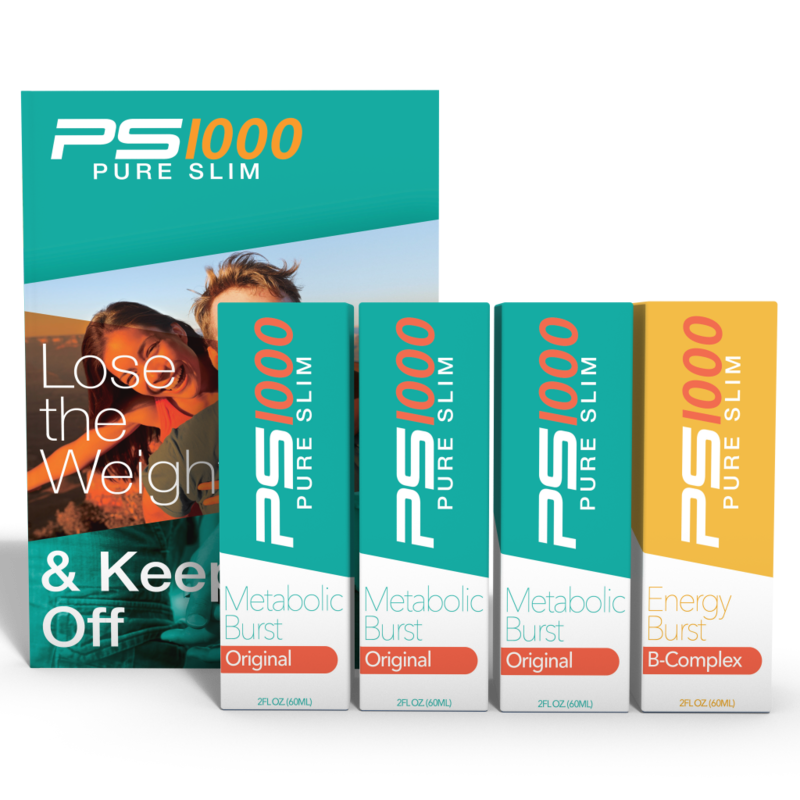 The PS1000 Plan is a perfect balance of supplementation and healthy nutrition to maximize weight loss and keep you safe. It’s always good to consult a physician before starting any low calorie diet. I have way more than 20lbs to lose, would this still be a good program for me? Absolutely. Regardless of how much weight you need to lose the foundational principles of healthy weight loss are the same. You need to learn those in order to start losing weight in a healthy way in the first place. How do I know if PS1000 Program will work? All we can say is many women and men before you have had the same worry, AND they were successful in this program. But we’re not going to lie – this program requires your willingness to commit and to implement it. There’s nothing magical about weight loss – it requires change but we’ll support you every step of the way so that it can feel both easy & doable. I have a medical condition – am I able to do the PS1000 Plan? You should not do the PS1000 Plan if you are pregnant or nursing, under the age of 18, have active cancer, liver disease, hepatitis, are on medications for bipolar disorder, have an allergy to any ingredient listed, or have Type 1 Diabetes. Can I do the PS1000 Plan if I am taking a prescription medication? If you are taking any kind of prescription drug, do not stop taking it while on PS1000 Plan without first consulting your doctor. There are certain serious conditions that require consistent blood levels of medications. We always recommend that you consult with your doctor before starting any of our programs. Is PS1000 Plan just another FAD? Purchasing multiple “diet fads” can be costly and frustrating. The PS1000 Plan stands out from the crowd because it isn’t a fad. This program will not only help you lose weight, but it will teach you how to change your lifestyle and maintain your weight loss. The PS1000 Plan will help you lose weight, but will also continue supporting you once you complete the weight loss phase of the program. You may have a question six months down the road and we are still happy and willing to answer that question for you and give you any support you need. What are side effects of PS1000 Plan? So many weight loss products on the market today are loaded with stimulants and caffeine that really do more harm than good. 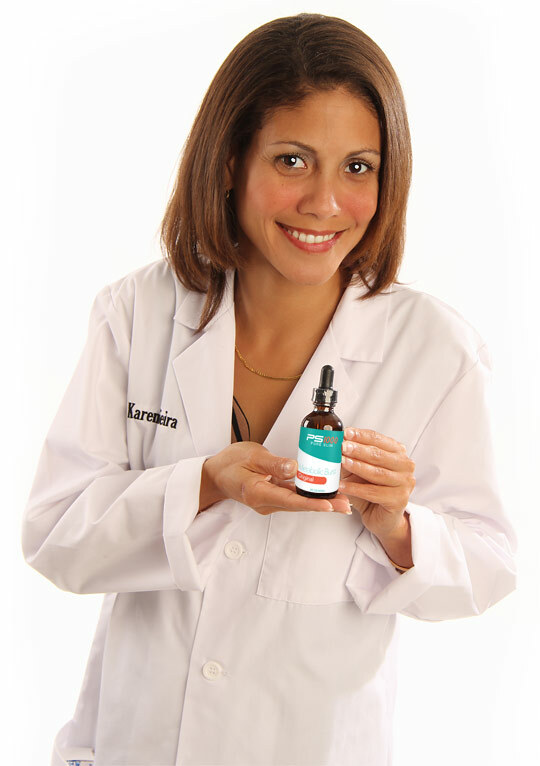 We use a non-invasive approach to getting healthy, and that’s why our product is made only from the highest quality, natural ingredients from right here in the USA. There are virtually no side effects, however, some people will experience withdrawal and detox symptoms the first week. Light headaches are common as your body is detoxing. Drinking plenty of water and taking a non-sugar coated pain medication can help. What foods are on the PS1000 Plan? The main foods that are removed on the PS1000 Plan are processed carbs, grains, sugar, and alcohol. We focus on eating good-quality meats and fish, fruit, beans, vegetables, greens, nuts, and avocados, as well as oils such as coconut and olive. You can find the full breakdown in our PS1000 Plan Booklet. Where can I get more of my questions answered? You can review our FAQs in the back of our PS1000 Plan manual, or email us [email protected]. I’m ready to order! How long will it take to ship? If orders are placed before noon Mountain Standard Time, we do everything possible to ship the same day. Orders placed Friday afternoon, or during a holiday, will ship the following business day. All orders ship from PS1000 Headquarters in Boise, ID. Shipping times will of course vary by location, but most orders in the continental United States will arrive within a week of when they are shipped. In conformity with the Federal Trade Commission guides concerning the use of endorsements and testimonials in advertising (see 16 CFR Part 255), any comments, testimonials and reviews on our website, about our products or services are disclosed by the consumers themselves, which means that those reviews and opinions are based on their own experience with our website, products and services. Such reviews and testimonials do not represent any guarantee or promise that you will do as well. If you rely upon such endorsements, you must accept the risk of not doing as well.